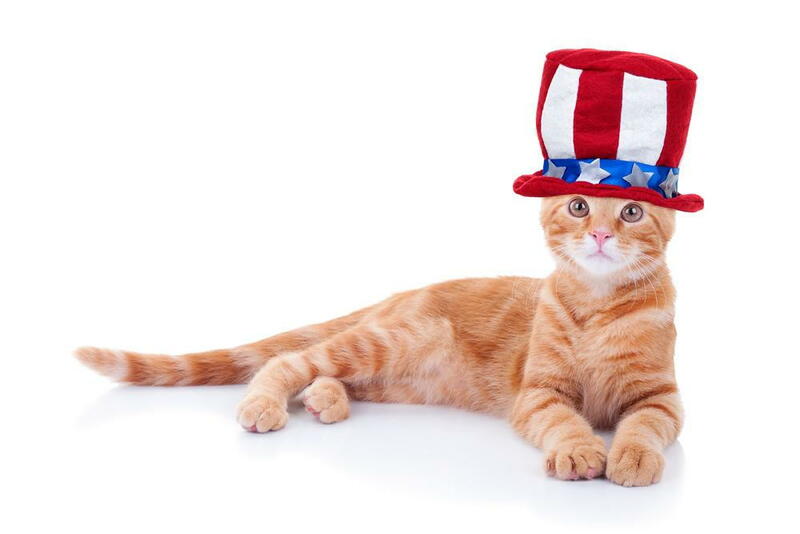 Whether you plan on hosting your own Fourth of July celebration at home or have neighbors that like to shoot off fireworks, it’s important to make sure your pet is safe on Independence Day. Consider the following tips and tricks to provide a safe haven for them. If you have any questions about your pet’s safety, you can also contact our veterinarians at Helena Veterinary Service in Helena, MT. The best thing to do to protect your pet is to simply keep them indoors at home. If you plan on being away, you might even turn the TV or radio on to help drown out some of the noises from outside. If you have a pet that spooks easily, keeping them outside may cause them to panic and even jump the fence or break a restraint in order to find safety. Even pets that enjoy being with the family at holiday events can spook or get away in a crowd. Make sure your animal is wearing up-to-date identification that shows your name, address and contact information, which makes it easier for someone to locate you if they find your pet. You can also ask our veterinarians in Helena to microchip your pet just in case he slips out of his collar. Pre-fireworks celebrations often include picnics and parades where you will be tempted to bring your pet. July is one of the hottest months in the summer and if you have a dog that is sensitive to heat, prolonged heat exposure can lead to dehydration and heat stress. Keep your dog in a cool shade and provide plenty of water throughout the day. If you notice excessive drooling or panting, muscle tremors, and limited urine output, contact your veterinary clinic immediately. If your pet is easily spooked by the loud noises of fireworks, ask our veterinarians for medications to alleviate fears. A vet will typically prescribe drugs like alprazolam, amitriptyline, and Buspirone to provide relief from anxiety. Fourth of July is the perfect time to enjoy the outdoors with your furry companion. To make the day a happy and enjoyable one, be sure to take the necessary precautions to keep your animal safe. Contact your Helena veterinarian at 406-442-6450 and keep your pet healthy all summer long.